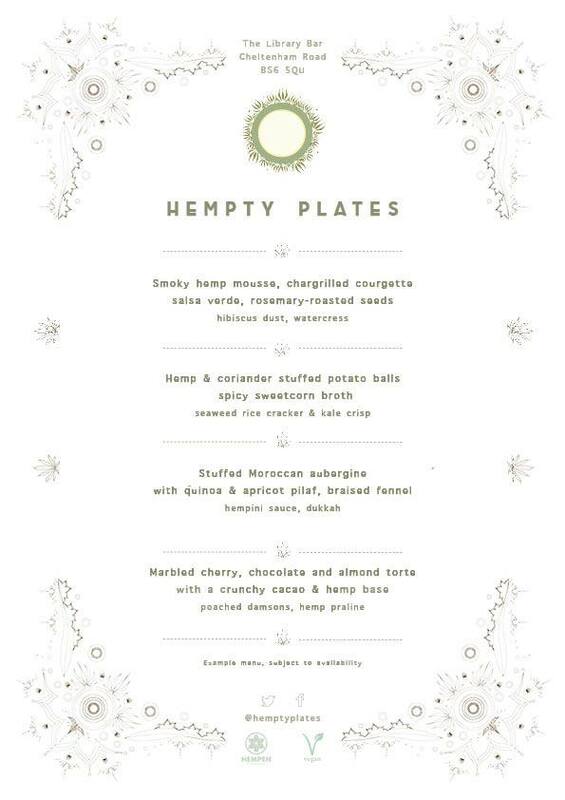 Hempty Plates is extremely excited… ahem, hempstremely hempcited, to announce our next glorious adventure into the healthy, tasty and sustainable world of hemp! All set in our nature-filled bubble in the bohemian heart of Bristol city, come, relax and cosy down with an aromatic glass, at this leisurely, epicurean feast. Book now for round two of our epic, four-course taster menu; three sittings at 13:00, 16:30, and 19:30, set to dazzle and inspire you with a peek into an idyllic, organic future, all created from the tail-end of summer flavours, and of course, the magical seeds themselves. How and what we choose to eat has a profound impact on both ourselves and our planet; our food forms the building blocks that become us; our actions shape the world around us.